The Wood County Treasurer's Office is dedicated to courteously providing the highest level of customer service, in an efficient, and professional manner by fulfilling its statutory duty to, and on behalf of, the taxpayers of Wood County. The Treasurer's Office is responsible for collecting, receipting, balancing and depositing county monies. This includes dispersing county payroll, cash payments and managing portions of the county's investment funds. All funds due the state are paid through this office. The duties of the Treasurer are governed under Wisconsin State Statutes, Chapters 50, 70, 74 and 75. 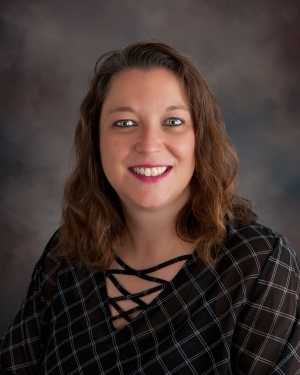 The office of Wood County Treasurer is held by Heather Gehrt. She was appointed to the position in 2016 and elected in 2017. Cheryl Krohn serves as Deputy Treasurer. She was appointed in October of 2015. Wood County Real Property Lister's office is part of the County Treasurer Department. This office stores and maintains real property data for the 45,000+ parcels of Wood County. This includes data related to land sales, new plats, assessment values, deed transfers, forestry management programs, property reclassifications, etc. The Real Property Lister is Nancy Marti. The Treasurer’s office calculates real and personal property tax and maintains the tax and collection data. Lottery credits and certifications are applied for and certified here. The treasurer also performs the tax settlement with local and state government. Tax bills are printed by this office and supplied to each municipal treasurer for distribution.